Everyone needs a confidant; someone with whom they can share their deepest feelings-- knowing they will be held in complete confidence. But what happens when those people aren’t available? And what if we don’t have someone in whom we can confide? When wave after wave of hurt hits us, or issues from our past need to be dealt with, there is One who is always available. 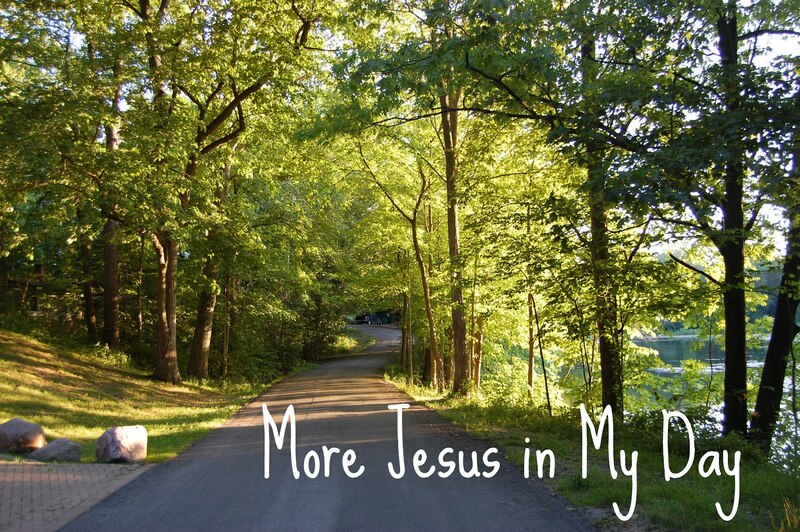 Jesus is our safe place to process all of the hurts, disappointments, anger, grief, and every other issue of our lives. When you need a confidant, whisper to Him—He’s waiting to hear your heart. This week, make the choice to confide in Him. When you pour out your heart to Jesus, He listens with compassion. He is a trustworthy refuge who longs to be your shelter in every storm. So thankful for our Jesus, Julie. He is a Friend like no other! Am digging the More Jesus in My Day feature. Well-written! I've just started a faith blog. Can you check out my blog? Thanks Julie, This is such a good reminder - Jesus is our Confidant! :) And we have full confidence in who He says He is! This is one of my favorite things about Him: my all-seeing, all-understanding, ever-present Savior. Thanks, Julie. I love Thursdays!